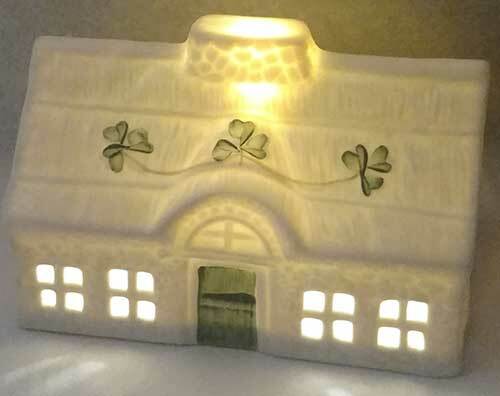 The Belleek cottage LED light was introduced in 2019. The Belleek Blarney Cottage Light features pierced windows and a half door along with a thatched roof and embossed rock walls and chimney. The Belleek cottage is enhanced with painted shamrock on the front along with embossed shamrocks on the back; further enhancements include milk bottles and trees. 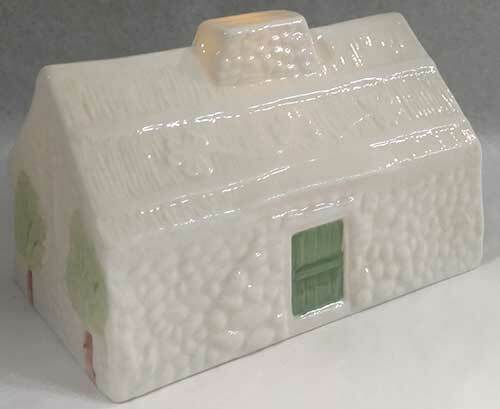 The illuminated Belleek cottage is made of fine china and measures 5 1/2" long x 3 1/2" wide x 3 3/4" tall. The replaceable batteries are included. 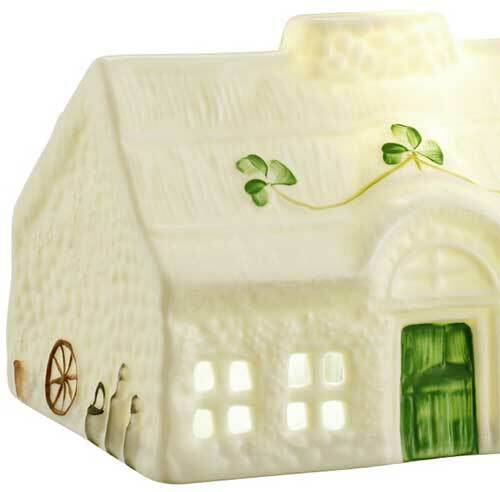 The Belleek China cottage is handmade and hand-painted in Belleek, Ireland; it is gift boxed with a shamrock history card, complements of The Irish Gift House. Due to the weight and size, this Belleek lamp ships separately and ONLY by ground freight. Typical delivery is 5 - 7 days. The wickerweave lamp from Belleek China features a painted flower design with butterflies along with an embossed weave motif. Due to the weight and size, this Belleek lamp ships separately and ONLY by ground freight. Typical delivery is 5 - 7 days. Shamrock lamp from Belleek is a fine china design that features both hand-painted shamrocks and embossed lace. 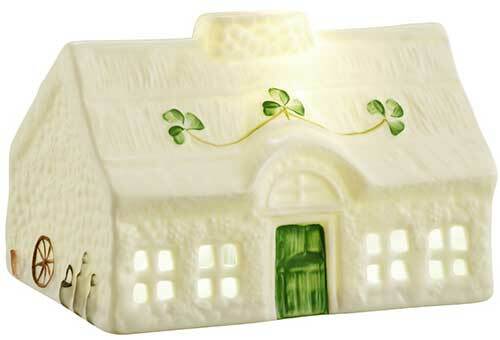 Belleek braid lamp with an included shade is enhanced with hand painted shamrocks.